A pair of events are scheduled Saturday in San Diego County to celebrate the Irish in advance of St. Patrick's Day. SAN DIEGO (CNS) - A pair of events are scheduled Saturday in San Diego County to celebrate the Irish in advance of St. Patrick's Day. 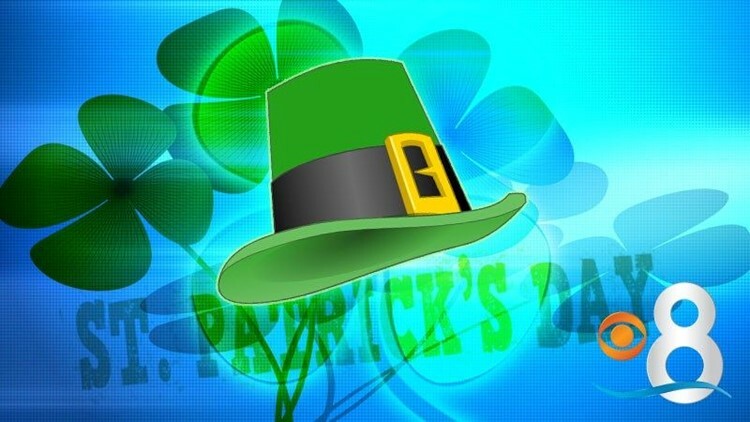 The 36th annual St. Patrick's Day Parade and Festival will take place in San Diego on the west side of Balboa Park near Sixth Avenue and Laurel Street. The festival will begin at 9 a.m., featuring two stages of entertainment, Irish food and games. The parade is set to step off at 10:30 a.m., with a theme of celebrating the 100th anniversary of the Easter Rising. According to History.com, around 1,600 Irish nationalists declared the establishment of the Irish Republic, rebelling against the British government in Ireland. Their uprising was crushed within a week, with some 2,000 dead and injured, but the rebellion was credited with starting a series of events that led to creation of the Irish Free State six years later. The St. Patrick's Day Half-Marathon and 5K Run/Walk will take place in downtown El Cajon. The races begin at Main Street and Magnolia Avenue. The event will also include a craft beer festival, featuring around 30 breweries, and live music by Irish bands, with proceeds benefiting parent- teacher organizations in the Cajon Valley School District. The 22nd annual Shamrock St. Patrick's Day block party in the Gaslamp Quarter is scheduled for Thursday.